Nothing to see here, folks. Just plain old puppy intimidation routine. Now, run along. Happy Friday! I hope you have a great weekend ahead of you. Today, we have a special guest post from Jihan of Dogfond about Dog Allergies. There are many ways to treat dog allergies. Usually, antibiotics and corticosteroids are given as part of the conventional treatment. But these medicines can have serious side effects on dogs especially when used in a longer period of time. Natural treatments are safer and healthier for your dog as side effects are very rare. Natural treatments rely on herb-based medicine to treat dog allergies. Therefore, you won’t be giving steroids, making your dog’s immune system stronger. A stronger immune system will help you dog in fighting the allergens attack, making him feel better. Many types of allergies including food allergies and skin allergies can be treated with herbs and other holistic treatments. Skin allergies are among the most common type of allergies in dogs. There are herbal remedies in the form of table or capsule. Introduce whichever one your dog will take easily. Remember to look for a medicine that’s recommended or formulated by a veterinarian. Make sure that the treatment has already been proven and used for some time. Medicines for dog skin allergies that are prescribed by holistic veterinarians indicate that they are of good quality and they don’t pose serious health risk to your dogs. Make sure you have a trusted veterinarian, someone who can provide safe and reliable dog health care. Though conventional treatments are effective, you can also find a lot of good products online for your dog’s skin allergies. There are a lot of safe and good ones out there. All you have to do is to do your research. A lot of medications for dog allergies these days are made from all-natural herbal blends which have been proven to be safe for both humans and animals. Avoid allergy medications that may contain a lot of chemicals that may harm your dog. Like prescription medicines, you better avoid them. If your dog is suffering from severe dog skin allergies, you can find either bonus or booster options that can be bought along with the tablets or capsules. They could help boost your dog’s immune response faster, clearing up the allergic condition right away. Whether your dog is suffering from excessive licking, rough and scaly skin, biting and scratching, too much shedding, or combination of dog skin allergy symptoms, your dog won’t feel comfortable until you give the proper medication and he gets some relief from the symptoms. Using all-natural products for the treatment of dog skin allergies, you won’t have to worry about the side effects anymore. Jihan Cuevas is passionate about animals, real food, traveling, and more. She has raised five dogs. 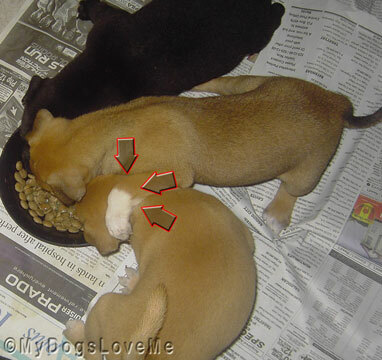 She also regularly blogs about dog health, nutrition, behavior and training, preventive care, and other related issues at http://www.dogfond.com/. 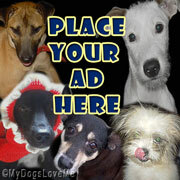 ** Removed link: http://www(dot)dogfond(dot)com/2013/01/my-dog-is-allergic/ due to database error. So far, we've been lucky. Daisy had an allergy to kibble, but we found one that doesn't bother her. Allergies seem to plague lots of dogs. Allergies can be a real pain. Natural remedies when we can are always best. Have a fabulous Friday. That is very good advice. Mum loves to use natural remedies whenever she can. That's some great advice, Haopee. Thanks! We always like to see if there is a natural remedy, too. Allergies are no fun, it took me over a year to get to the bottom of my Lab's allergies after we adopted him. Thank you all for reading. Allergies are no fun indeed. In most cases, it is due to the food we are feeding them. Making a switch to raw diet also helps.